Option to arrive the night before: Drive to area and spend night in motel or campsite not far from trail-head. Group dinner for those arriving tonight. There is an option to arrive this morning as well, mostly for those driving from NYC or Boston. 9:00 am: arrive/meet at Trail head. Issue gear, check personal clothing, intro to basic canoeing, lunch, launch. - Paddle to campsite. Where we spend the night will depend on availability, attractiveness of the site, weather and our speed of travel. 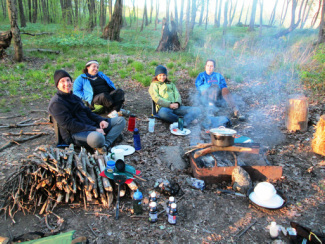 - Back-country camping skills 101: Making a safe camp, personal hygiene, dinner, activities. - River day: paddling, swimming, Wilderness torah study. 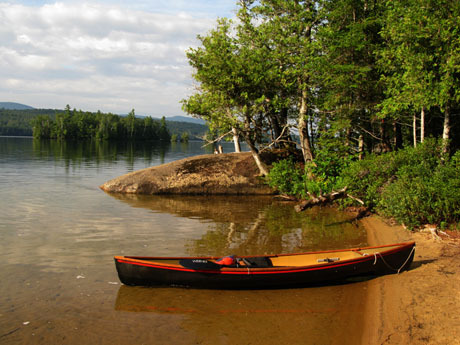 - Break camp ,paddle from narrows (narrow part of lake) onto "big lake" portion. Find new campsite! - Camp, Havdalah ceremony, dinner. - Paddle out. Early morning departure for trailhead. Back at trailhead between 3 - 4 pm. The Adirondack trip will take place from Thursday, September 1 to Sunday, September 4 , 2016 (Labor Day weekend). We will be meeting at the intersection of NY State Route 421 and Rte 30 at 9:00 am on Friday, and will return to our starting point by 4:00 pm on Monday. Those arriving Thursday will meet at either Tupper Lake or Long Lake where we will stay in a motel Thursday night. We will meet Friday morning at the intersection of NY State Route 421 and Rte 30. This intersection is approximately 13 miles north of Long Lake and 10 miles south of Tupper Lake. Drivers should make the turn onto 421 and look for my canoe trailer. If arriving the night before, there inns and motels in both of these towns to fit any budget. If some people are interested in camping or staying in a motel the night before we can provide this, plus breakfast for an additional $50 (camping) or $80 (motel). If you do not have a car, we do our best to set you up with those driving to the meeting point. Depending on the size of the group, we will hire a van to pickup attendees from NYC or Saratoga Springs which is accessible by Megabus. Those coming from farther places might consider flying into Albany, from where we will coordinate a transfer or most likely share a rental car. (this will add an extra charge to the trip to cover transportation costs). Location of our meeting point - the intersection of NY State Route 421 and Rte 30. Driving is about 5 hours from NYC, 4 hours from Montreal, 6 hours from Philadelphia, 4 hours from Boston and 8.5 hours from DC. Our wilderness guide for the weekend is Rabbi Howard A. Cohen - who is the the founder, spiritual leader and senior guide for Burning Bush Adventures. 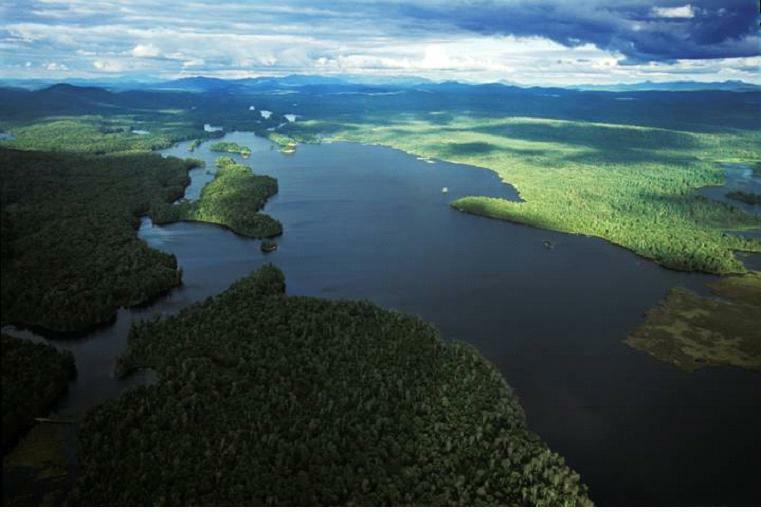 He has been guiding, climbing, hiking and paddling year round in Northern New England and the Adirondacks for 25 years. He is a certified Wilderness First Responder and a Level 1 Firefighter. He ran Outward Bound programs for troubled youth for many years before entering rabbinical school. Howard has served as the rabbi for communities from Alaska to Vermont. He also loves to garden and build canoes in his spare time. Aside from Howard, there will be a staff-person from Greener Travel that will be with the group for the duration of the trip. During the weekend we will be getting around by canoes, of course, as well as do some light hiking. During the month of May, the average high in the places where we will be visiting is 74 degrees Fahrenheit, with the low at night averaging at 44 f.